Concentration dynamics influence DNA-Protein-RNA-Protein interactions in both the nucleus and cytoplasm are a significant influencer of activity. It is becoming increasingly evident that extremely small changes, often in a small fraction of concentrations that results from dosage sensitive genes can be immediately significant. Subcellular concentrations are affected by elements including DNA, RNA, protein, metabolites, molecules and water. This concentrated environment can determine binding of particular elements in the pressure of condensed space. The effects on intrinsic protein disorder, including p53 is also concentration dependent and dosage sensitive. Double stranded DNA association and dissociation, as influenced by epigenetic factors and induced by proteins may play a role in organizing DNA’s subsequence concentrations to be more or less favorable to binding protein, transcription efficiency and translation. Intra chromosome, any sub-sequences of the DNA molecule can be thought of as concentrations. Each gene is then a particular pattern of inherent purine-pyrimidine concentrations, proximal definitions on DNA of the chromosome. Therefore, our interest in DNA concentration specifics led us to review every adjacent combination of any of the four letters A,G,C or T within a gene of interest. Our DNA pattern algorithm computes every possible subsequence >7 letters of a DNA sequence. It is sensitive to the smallest single nucleotide change in any subsequence >7 for all possible sub-sequences of a transcript. From the transcribed DNA sequence GAGCTTCGAG6 there can momentarily exist, as RNA derivative sub-sequences or sub-concentrations >7 GAGCTTCG3| AGCTTCGA4| GAGCTTCGA4| GCTTCGAG3| AGCTTCGAG4|:- The subscript is the maximum frequency the subsequence can be discovered in any >7 derivations of GAGCTTCGAG. Since order of letters in DNA is fixed, our model represents the complete, potential set of weighted RNA segments that can be transcribed into the nucleus and cytoplasm. 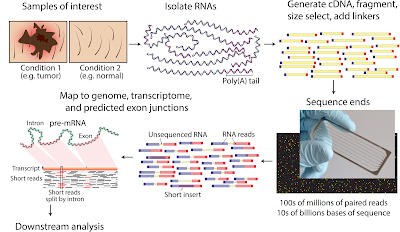 Because various concentrations of repeatedly transcribed DNA sequences will exist as RNA in the cell at various times, this is an exhaustive model against which a single gene-cell potential state can be computed. 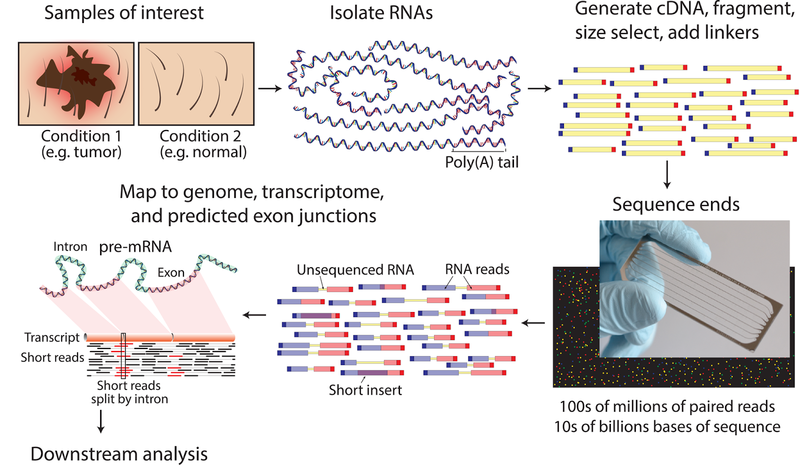 Measuring and sequencing gene-cell cytoplasmic RNA concentrations and comparing them to the gene-cell potential state provides a comparative. Using this as a diagnostic may be a sensitive measure to associate non-coding DNA-RNA states with diseases.